This wrap bracelet is made on memory wire which holds its shape. 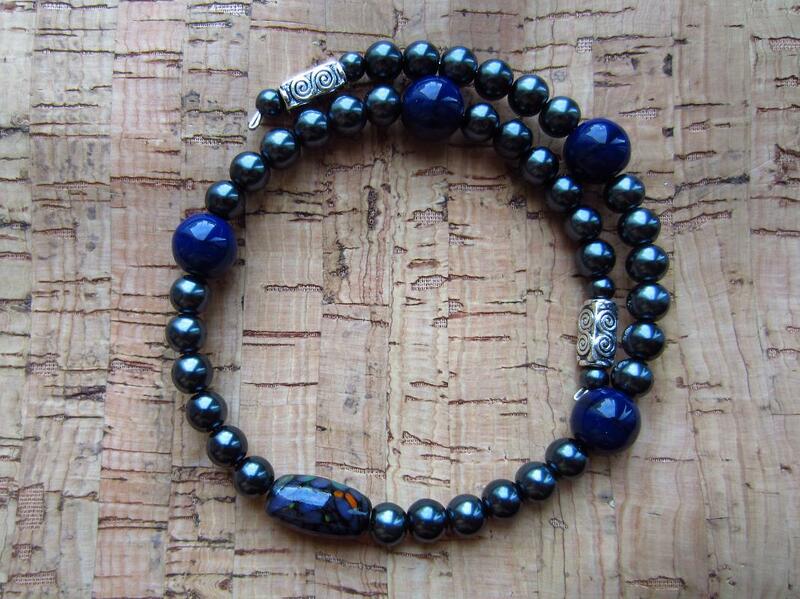 It contains dark metallic black-grey glass beads and four deep purple accent beads. The ceramic feature bead is black with purple, orange, and green speckles. This piece measure approximately 12 inches from end to end and currently wraps 1 1/3 times around, measuring just under 3 inches across.